Combining the softest lambswool with durable and breathable cotton, we've developed a modern twist to a knitwear classic. 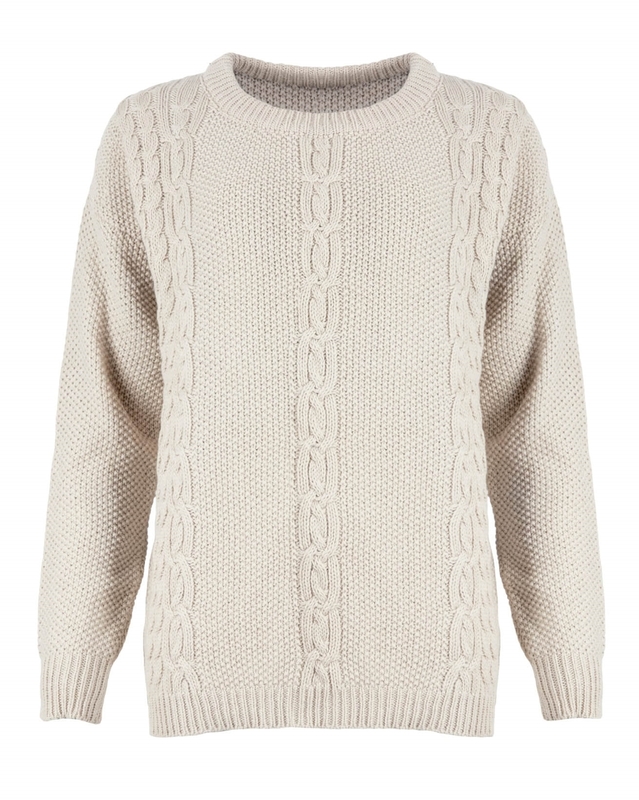 Featuring a crew neck, cuffed sleeves and intricate cable detailing, this ultra-stylish sweater will complement your favourite seasonal pieces. Freshen up your wardrobe with a neutral knit, in a flattering shape and medium weight, designed to stand the test of time. Beautiful jumper. 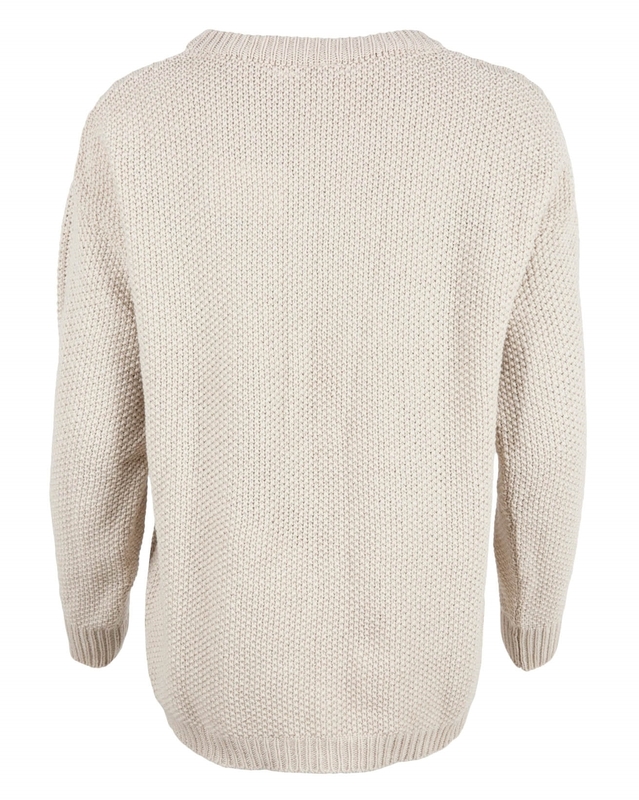 It is comfortable, very soft and looks smart but can be worn as casual. I am a size 10 so I ordered a small and it was a good fit. The sleeves are on the long side but looking at the model that is part of the style - they can be turned up. Pleased with my purchase. I previously ordered the stitch stripe jumper which is perfect fit, Im a 14 to 16 and this jumper is much the same perfect fit although had to turn the sleeves up a wee bit, but i'd rather have a longer sleeve than it be a bit short.